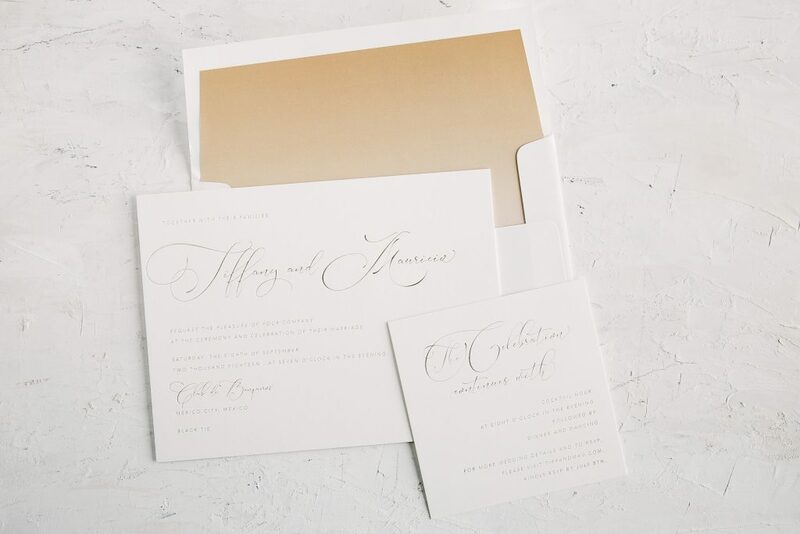 These Tawny Matte foil wedding invitations came together thanks to the help of Magnificent Milestones. This typography based layout kept the design clean and simple with focus on the bride as well as the groom. 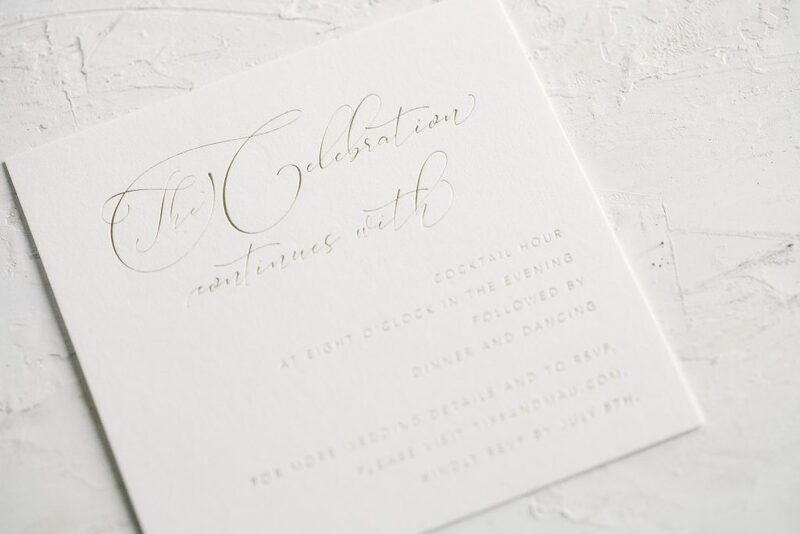 Inspired by Neville, the couple decided to keep their design similar yet chose a champagne-like foil over black ink. A square reception card corresponded with the invitation in Tawny Matte foil as well. Finally, an envelope liner in our elegant ombre pattern added color to an otherwise monochromatic suite. Press'd is our place to share our work and inspiration.